Hey Golden Hawks, its DJ Mack here for the first time! 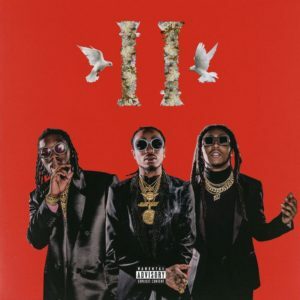 Hope you are enjoying The Week-End with DJ Sav and I, this week we decided to have an all Migos playlist in honour of their new album “Culture II”. 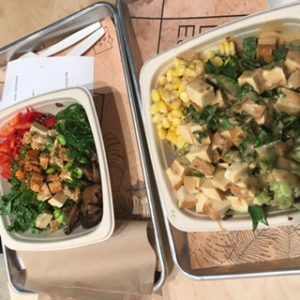 We talked about some weird news stories involving planes and pets, and our Try of the Week was The Poke Box, a Hawaiian themed restaurant new to the Waterloo area. Check out this awesome video Tasty did with Migos where they whipped up some stir fry, to get you in the excited about the album!! I found an interesting article about a woman who tried to bring her emotional support Peacock on a United Airlines flight but was denied entrance onto the flight even though her Peacock supposedly had a ticket. DJ Sav had found a similar article about a woman who tried to bring her emotional support Hamster on a flight with her, but when faced with the issue of not being allowed to bring it on the flight she flushed it down the toilet! These stories seemed to be a little too similar and we agreed that this could have just been a publicity stunt or they did it for the meme of it! This week we tried The Poke Box, a Hawaiian themed restaurant chain at 255 King St North. We both felt the vibe of the restaurant was very different… to say the least. The seating looked like it was a high school wood chop class project, the music was all over the place with some Country mixed with Pop, which left us very confused. The food was ok, I chose to pick a pre-made bowl because I didn’t know what to order, DJ Sav created her own bowl which was ok as well. I recommend trying it out if your interested as it is very healthy food, but you won’t be seeing DJ Sav and I there. This Wednesday February 14th Laurier’s First Year Project is hosting an X’s and O’s Semi-Formal dance for all first years. So, whether your looking for love or just want to show off your dance moves head on down to the Turret this Wednesday at 9:00pm! This week we had an all Migos hour in celebration of their new album “Culture II” by throwing it back to some of our favourite songs from their first “Culture” album and a few features they’ve done with other artists. Hope this got you hyped for reading week, I know we’re all anxiously awaiting the break! Thanks for hanging out with us and we hope to have you chillen with us next week, Friday from 10-11pm. Stay golden out there hawks!